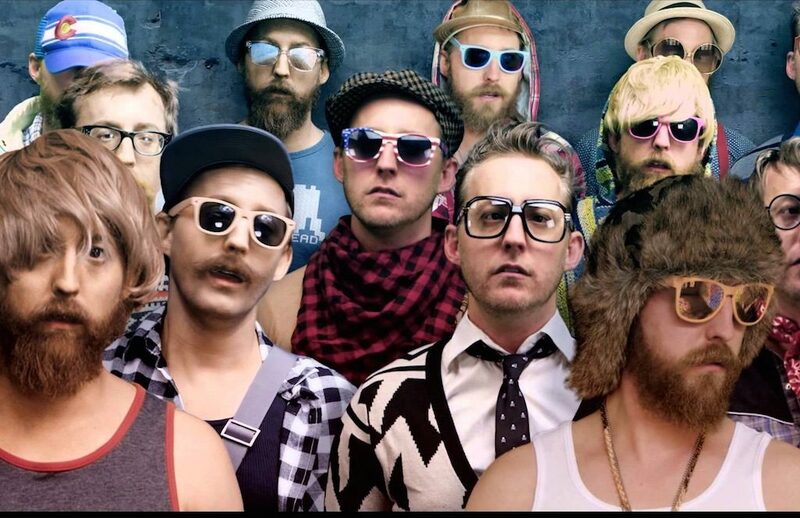 Australia's government goes to war against "hipsters!" Australia’s government took an official position on retro-style surfing yesterday in an important vote won overwhelmingly by progressives. 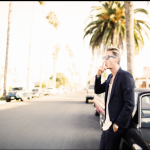 A motion was introduced by Byron Councillor Cate Coorey for a safety awareness campaign about the problem of “hipsters” surfing leashless in and around the Byron area. And let’t turn to the Australian Broadcasting Corporation without delay. Let’s go straight to Councillor Cate herself. “It comes from personal experience and many people I know have nearly been mowed down by out-of-control boards,” she said. “A couple of times I’ve actually grabbed kids to keep them out of the way of the board. Cr Cate said the trend appeared to be particularly rife among so-called hipsters trying to emulate a retro style of surfing. “It’s mostly people riding long boards who seem to be having a love affair with times past, but we also used to drive without seat belts and there were many fatalities,” she said. 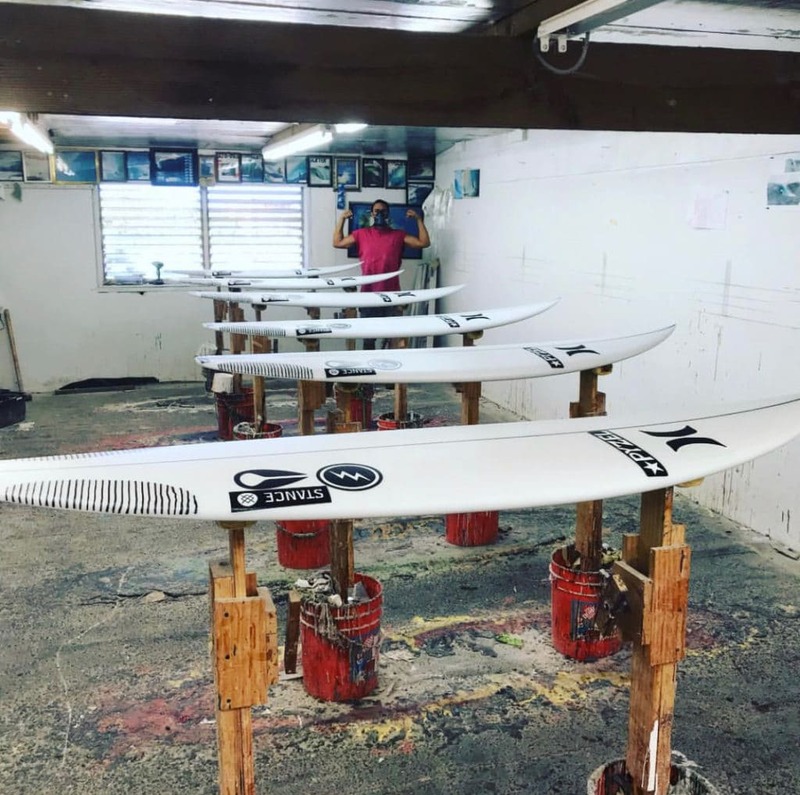 The council’s decision to embark on an education campaign and investigate other possible deterrents has been welcomed by the surfing community. Seven-time world surfing champion Layne Beachley said people riding boards without leg-ropes were a disaster waiting to happen, and it should be mandatory for people to wear leashes at point breaks. “It’s getting crowded out there and when people lose their boards, especially the long boards, and they just come running through the line-up, it can cause some serious damage to people,” she said. I usually don’t like top down approaches to social problems nor do I like campaigns for safety awareness but I like the cut of Councillor Cate very much, especially when she talks about hipsters having a love affair with the past. 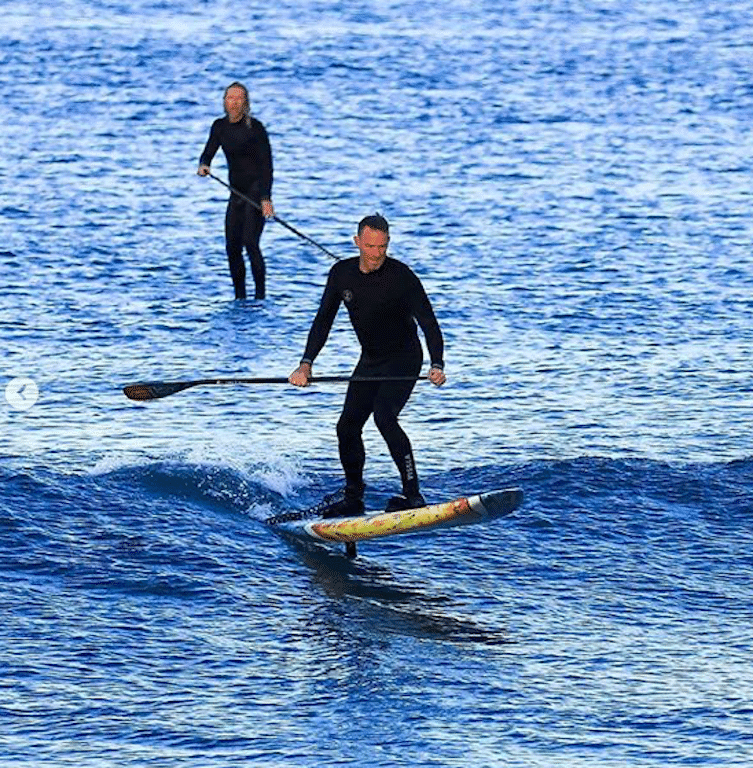 Imagine, though, if she met the future, in the form of the World Surf League President of Content, Media and Studios Erik Logan galloping across the horizon on a SUP foil. Would she still think there is a good reason for advances in technology? 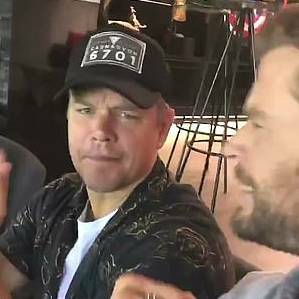 Matt Damon shucks #VALlife for aggressive localism. I was wrong about Matt Damon. Recently converted surfer. Byron Bay fiend. Friend of Thor. I tarred you with the VAL brush and I was wrong, wrong, wrong. What we saw at the Pass was just a show. It had to be a show. Matty D was recently paparrazi’d wearing a hat emblazoned with the postcode of Carnarvon, Western Australia. For those not familiar with the area, Carnarvon is base camp to some for some of the heaviest waves in Australia. Damon, Tombstones, Bluff local etc. Turns out he and Thor just got back from a trip out there to the desert North West. Where death comes in a thousand forms. Sharks. Cyclones. Gun-swinging locals. Lips as thick as Ben Affleck’s post J-Lo waistline. And our boy Damo tamed it all. Just look at the hat. The hat is branded with Carnarvon and its postcode 6701. This reflects the concept of localism in surfing culture. “We do that on T-shirts as well. Locals love it because they can get shirts with their own postcode and images of their surfing breaks,” he said. Did you read that? 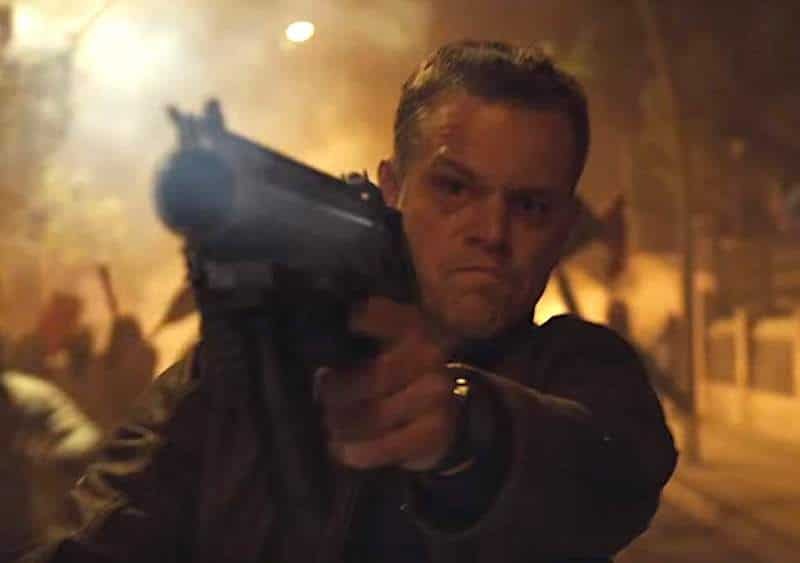 Jason Bourne is a local. Possibly grumpy. We cannot confirm. But a Carnarvon local, there’s no doubt. So what does the hat tell us? It tells us he can take two wave hold downs like you or I take a morning dump. It tells us he could send in apex predators with the faintest of sideways glances. It tells us he would look down the line at a triple ledge with the insouciance only a lifelong shredder could possess, shoving his middle digit upwards at mother nature. Look at my hat. Read the post code. Six seven oh one. I’m a Tombstones-adjacent, Carnarvon local. So what’s left for Damo’s transformation to be complete? I do feel he’s overplayed his hand. The first rule of the North West is you don’t talk about the North West. It worries even me, a low-level purveyor of nostalgic surf twaddle, to mention it online. So that bridge may already be burned. But he is obviously keen. Byron is taken (Hi, Thor!). How about he goes a little further south? Lets get him to Iluka. There’s plenty of property around there. Nice and cheap. Or if he wants to, he could move into an onsite caravan at the local trailer park. Like any true grumpy local closing on to the wrong side of 50 would do. Maybe he can buy an excavation business called Damo’s Demo’s (sic) to run into the ground, wasting his time checking the Wall but never actually surfing, complaining instead about the tide/wind/swell, while slowly but surely dismantling the few truly genuine and good relationships left in his ever-dwindling circle. I can see it now. Damo. Old. Leathered. Faithful healer bitsa by his side. Playing out his evenings there at Sedger’s Reef bistro, drunk on cheap port and wine, worrying about the lump in his neck and the pterygium in his eye and wondering where it all went so fucken wrong. Inspired: Lake Tahoe perfect new location for WSL Pretty Big Wave Tour! "It was definitely rough out there and a little windy." 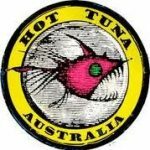 This year, our World Surf League based in Santa Monica, California made many major moves with regards to the Big Wave World Tour, most importantly transitioning it the the Pretty Big Wave World Tour with famous San Diego-based tuna company Chicken of the Sea signing on as title sponsor. Initially, both Jaws and Mavericks did not meet the “almost impressive” criteria needed to run and while Jaws found a later, nearly big day, Mavericks died on the vine, staying too big all year long. As it enters the offseason, new potential venues might be vetted and I would like to suggest Lake Tahoe, which straddles both California and Nevada and is not far from that scary Mavericks. And let us turn to San Francisco’s SFGate for more. Let’s dig right in. 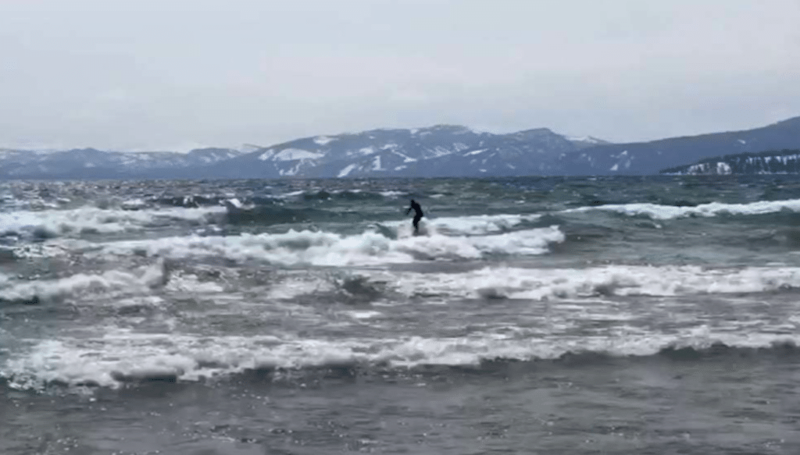 The surf was up at Kings Beach on Lake Tahoe Tuesday. The Placer County Sheriff’s Department captured video footage of a surfer hanging ten on the waves just after sunrise (see below). We can only hope he was wearing an extra-thick wetsuit while playing in the 40-degree water. 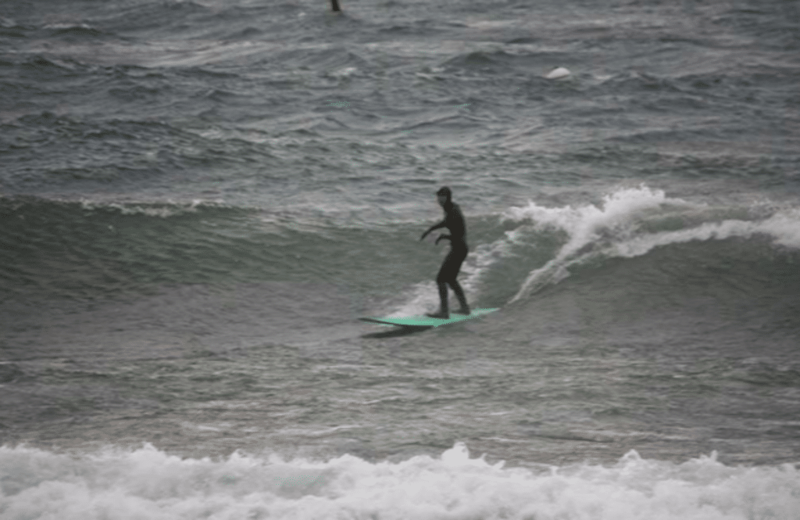 Whipping winds churned up Lake Tahoe, with three to four-foot waves rolling onto beaches. 3 – 4 feet, rough and a little windy one day and pretty calm the next? Plus inland like a Kelly Slater Surf Ranch? Sounds absolutely ideal and you’re welcome WSL. Surfers who longboard without leashes "having a love affair with times past!" Progress: Hollywood VAL emerges fresh from chrysalis as "grumpy local!"